O Instituto Universitário Europeu é uma instituição de ensino superior, localizada em Florença. Funcionando desde 1976 e criado por seis estados-membros fundadores da Comunidade Económica Europeia, o IUE tem, como objectivo principal, contribuir através do domínio do ensino superior e da investigação, para o desenvolvimento do património cultural e científico da Europa. 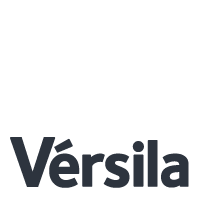 Orienta-se para os campos da História, do Direito, da Economia, da Ciência Política e Ciências Sociais. 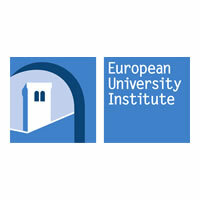 (Published version of EUI PhD thesis, 1995. ); Contributing to the literature on European integration, this book investigates the perceptions of political actors towards the creation of Economic and Monetary Union (EMU) in Europe. The research is largely based on personal interviews conducted with key informants in central banks, finance ministries, employers' organizations, and trade unions in Britain, France, and Germany. It examines why actors perceived EMU to serve or frustrate their interests, concluding that actors favored the EMUfor a variety of reasons. Studying the relationship between foreignness and social bonding illuminates the logics of integration. In 18th century Vienna, the Ottoman presence was inscribed above all within the socio-political history of the city. The Ottoman presence played a part in the Kameralismus of the Imperial administration and in the development of Viennese enlightened absolutism, to the detriment of Municipal liberties. It reinforced the social position of the established ministerial elite against their challengers. It fit ted into a trans-imperial familiarity between the Holy Roman Empire and the Sublime Porte, and into the rise of a cosmopolitan oriental milieu in Vienna. In such a situation, the status of foreigners was no longer a brake on integration, but a pre-requisite and a catalyst for it instead. L’agricoltura italiana: successo o fallimento? After having briefly illustrated the importance of information technology in legal studies, legal informatics in the narrow sense and computer law are distinguished. The different sectors of the two disciplines are identified as well as their specific role in the formation of the jurists and practitioners. Finally, the historical evolution that led to this characterization of legal informatics and future developments and challenges are mentioned. The chapter states that it is appropriate to maintain the connection between legal informatics and computer law as this connection is based on the dependence of technological elements from both the disciplines, whose proficiency is a prerequisite of any legal analysis. Dans ce qui fait figure d’une affaire d’Etat - et de juges - relative à la question prioritaire de constitutionnalité (QPC), la Cour de Justice de l’Union européenne (CJUE) a jugé le 22 juin dernier par son arrêt Melki et Abdeli qu’un mécanisme de contrôle incident de constitutionnalité des lois était compatible sous certaines conditions avec l’article 267 TFUE. Une semaine plus tard, la Cour de cassation passait la QPC au crible des conditions posées par la CJUE. Jugeant qu’elles n’étaient pas toutes remplies, elle neutralisa en l’espèce le caractère prioritaire de la question de constitutionnalité et demanda au juge a quo de procéder à une application stricte de la jurisprudence Simmenthal. Nonobstant la relative ouverture manifestée par la CJUE à l’égard du contentieux constitutionnel français, la Cour de cassation semble ainsi avoir fait le choix de l’orthodoxie communautaire au risque d’hypothéquer l’avenir de la question prioritaire de constitutionnalité. Il s’agirait pourtant de ne pas substituer une guerre des juges à une autre. En el contexto de la globalización neoliberal, el Área de Libre Comercio de las Américas (ALCA) fue el acuerdo internacio¬nal más ambicioso promovido para reducir o eliminar las barreras comerciales internacio¬nales en las Américas. Las consecuencias pre¬vistas del ALCA provocaron la movilización de los movimientos sociales y los sindicatos en todo el continente. Después de una déca¬da de resistencia al ALCA, se podría soste¬ner que estos movimientos y sindicatos son parcialmente los responsables de su fracaso en 2005. El papel de los sindicatos plantea una interesante pregunta teórica sobre cómo la participación transnacional de organiza¬ciones nacionales influye en su activismo a escala nacional. Este artículo analiza cómo entre 2002 y 2010 un importante sindicato, la Central de Trabajadores de la Argentina (CTA), organiza su acción en varias escalas y cómo estas se interrelacionan. Published online on 13 June 2014; So far, historians working on the two sides of what used to be a divided Europe have had considerable contacts but they have operated – at least in the realm of international history and the history of European integration – with largely separate agendas and networks. The authors of this special-issue introduction have both come to work on the increasing interaction between East and West in the framework of détente, and feel that the time is ripe for a scholarly analysis of the concepts, strategies and approaches of the Socialist regimes to pan-European co-operation in the long 1970s. Through a collaborative research effort, specialists on specific Socialist countries and historians of Western Europe (and particularly of its integrative experience) are brought together in this special issue of the European Review of History to bridge the existing gap between two parallel strands of scholarship. Their close collaboration is the key to the conceptual development of a broader view of pan-European co-operation against the background of global economic trends.